Maestro Kevin Rhodes began the concert with “something borrowed”: the chorale “It Is Enough” from Bach’s Cantata BWV 60, which was quoted in the next work on the program, Alban Berg’s Violin Concerto. The three-minute chorale was radiantly sung by 24 male and female members of the Springfield Symphony Chorus, beautifully accompanied by a reduced SSO, a performance they repeated after a 10-minute mini-lecture by the maestro that was vintage Rhodes, informative and entertaining, as he illustrated at the piano how the chorale fit into the concerto. The audience seemed to appreciate this helpful introduction to Berg’s final masterpiece, whose dissonant surrealism can still be a challenge to modern ears. But not to the fingers of soloist Caroline Goulding, whose technical virtuosity and interpretive maturity were remarkable for her age (twenty-two). Dedicated “to the memory of an angel” (Manon Gropius, a close friend of Berg who died of polio at age 18 in 1935), the concerto has a solemn and lyrical beauty that the SSO players captured with delicacy and finesse. Intermission was followed by something completely different from Berg’s “something blue”: two symphonic poems written by Tchaikovsky but inspired by Shakespeare: “The Tempest” (something new) and “Romeo and Juliet” (something old). If the haunting opening and close, soaring love themes, and thrilling climaxes of “The Tempest” could impress Nadezhda von Meck enough to become Tchaikovsky’s patroness, it seems odd that the work is so rarely played today. A more inspired account than this one by Rhodes and the SSO would be hard to imagine. And how better to follow it than with an equally riveting performance of the more familiar “Romeo and Juliet"? Ideally paced to maximize the contrast between the violent music of the warring Montagues and Capulets and the famously ravishing love theme of their young progeny, it brought a dramatic evening to a fittingly moving end. In the Hartford Stage production of Hamlet there is a moment in Act III when Hamlet is giving the Players advice before their Court performance. He beseeches the troupe to, “…suit the action to the word, the word to the action.” One cannot help but think, while watching Zach Appleman’s superbly controlled performance in the title role, that that was precisely director Darko Tresnjak’s advice for his leading man, and the production as a whole. Appleman is a graduate of the Yale School of Drama, and his standout performance reflects the rigorous discipline that school of acting promotes. Many actors choose to convey Hamlet’s descent into madness – or fake madness - with manic displays of energy, stressing huge gestures, and physicality. Not so Appleman; his performance is so well thought-out, so disciplined, that when he does choose a gesture - a turn of the head, a feint to the center, a finger slashing across his throat – the audience reacts as if he has just screamed. Darko Tresnjak’s mark on this Hamlet starts with his own scenic vision for the show: a runway with a short stage at each end, like a large letter I. The runway is lit from below, which allows the texture of the scenes to change with each location. It is brilliantly spare, and the lighting design by Matthew Richards only adds to the vision of the play. Andrew Long’s performance as Claudius, Hamlet’s scheming uncle, is appropriately evil, yet also rough around the edges. He manages to find empathy in a decidedly unsympathetic character. Kate Forbes’ performance as Gertrude is seamless. In the role of Polonius, Edward James Hyland provides the audience with some wonderfully comedic moments that break up the almost unrelenting tension of the show. Two performers stand out in particular: James Seoul, portraying Horatio, is a charismatic and riveting actor who also makes his debut at the Hartford Stage. One hopes it won’t be his last. And Brittany Vicars as Ophelia is a true find. Her character’s own descent into madness is spellbinding, as Vicars sings her lines in high, trilling voice, foreshadowing her own tragic end. It was the early 80's. At first, cases were remote, isolated. The public was unaware, but seemingly, out of nowhere, people were seriously ill, and dying…and they were virtually all gay! It was determined that whatever this illness was, that it attacked the body’s immune system, leaving it incapable of fighting the infections of this 20th century plague. And no one was doing anything about it. That is the overriding story of Larry Kramer’s Pulitzer Prize-winning drama, “The Normal Heart,” presented by the Theatre Guild of Hampden, in a courageous production directed with great sensitivity by Mark Giza. The cast is impeccable -- every role meticulously cast. The early scenes crackle with often sardonic humor as a group of friends attempt to deal with the situation. Luis Manzi, as Ned, takes up the challenge of recognizing and accepting that the reality that this illness must be faced and fought. But, this small ”band of brothers” cannot do it alone. Manzi’s performance is masterful, capturing every nuance of his character’s determination, dedication, frustration, and anger. Equally brilliant is Arnaldo Rivera as Felix, who convinces Ned that he can love and be loved. Felix’ deterioration is tragic to witness, but managed touchingly and with dignity. His performance is flawless. The thoroughly professional cast is amazing. Paula Cortis as Dr. Brookner, conveys professionalism, sympathy and understanding while, seemingly, facing a hopeless task. Brad Shepard has the difficult assignment of portraying Ned’s older brother who can’t quite accept his sibling’s homosexuality. Andrew Ingham is perfect as Bruce Niles, a CityBank Vice President who accepts the leadership of the group’s organization while still trying to hide his own gay persona. Steve Sands as Mickey, mostly lighthearted, in Act II delivers a tension-filled attack on Ned that reveals the true depth of his character. Kellum Ledwith contributes several light moments in his portrayal of Tommy, as an almost stereotypical young, gay man, untouched by the tragic circumstances that surround him. Important contributions are made by Kevin Wherry, Silk Johnson, and John Flynn in lesser roles. 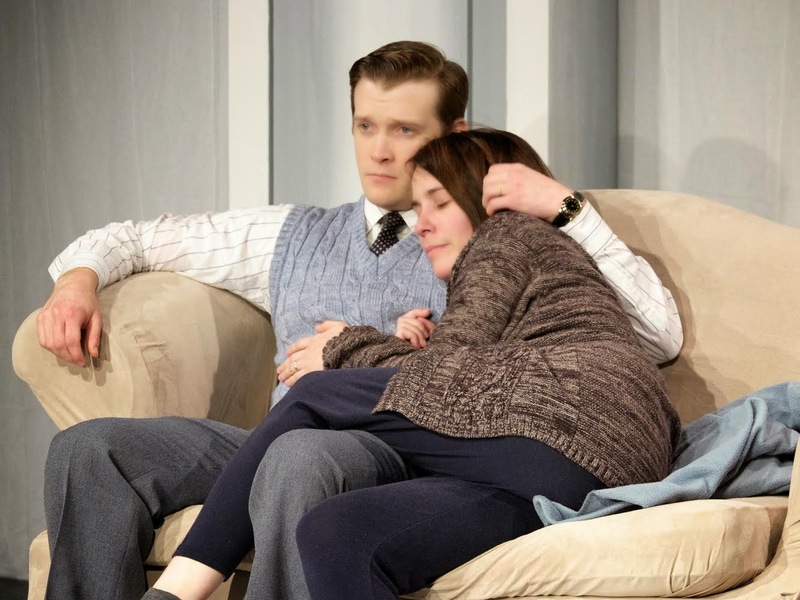 For a riveting evening of theatre, delivering high drama tempered by flashes of humor, “The Normal Heart” has it all, but only until November 2. With a mental ward standing in for everyday society, “One Flew Over the Cuckoo’s Nest” is insane (in a good way). Based on Ken Kesey's novel and directed by Jake Golen with depth and understanding, this is a comically sharp indictment to urge establishment to conform. Playing crazy to avoid prison work detail, manic but free spirit Randle P. McMurphy, played by Carl Schwarzenbach, is sent to the state mental hospital for evaluation. There he encounters a motley crew of mostly voluntary inmates, all presided over by the icy Nurse Ratched. Ratched and McMurphy recognize that each is the other's worst enemy: an authority figure who equates sanity with correct behavior, and a misfit who is charismatic enough to dismantle the system simply by living as he pleases. Schwarzenbach as McMurphy is stellar. His approach to this boisterous, brawling, fun-loving rebel is performed with finesse. He commands the stage and is a delight to watch. Janine Flood’s Nurse Ratched is passive-aggressive in shining armor. Flood’s approach is sterile and self-controlled which “works” for the character. Flood’s interpretation is consistent and valid, but a bit more whimsical playfulness would make a proper ingredient to the syrup manipulations. The evidence of Ratched’s authority is shown in the lobotomized character of Ruckly, played by Paul Bridge. Although few lines are delivered, Bridge pulls off the idiosyncrasies, twitches, and outbursts so believably that the audience is mesmerized. Bridge makes his acting debut with this production and is sensational in this intricate and most necessary role. Thomas LeCourt is successful as Dale Harding, a man simply trying to figure why, what and how but is scared and has been shut down from life. Kevin Montemagni exuberantly puts himself into the role of Scanlon – a paranoid bomb-making maniac. Martini, played by John Kielb, is perfect for his role. Rob Clark's Chief evokes unexpected compassion from his audience. McMurphy's message to live free or die is ultimately not lost on the “inmates,” revealing that escape is still possible even from the most oppressive conditions. What happens when Nurse Ratched uses her ultimate weapon against McMurphy provides the story's shocking climax. This is an intricate show; a display of life and the conflicts everyone faces. The HSO website calls the weekend of concerts opening their 71st season “a monumental journey commemorating struggle, bravery and hope (through) passionate anthems of independence.” All four pieces on the program fit this description in varied ways. While HSO Music Director Carolyn Kuan began with the traditional season-opening “Star Spangled Banner,” this lavish presentation included not only the HSO musicians but the Hartford Chorale, whose male and female voices expressed that passion for independence with explicit fervor. The jubilant performance of Tchaikovsky’s “1812 Overture” that followed kept the Chorale onstage to sing in English the haunting Russian hymn “God, Preserve Thy People” at the outset and the Russian national hymn “God Save the Czar” at the end. With the large orchestra further amplified by voices, these familiar melodies sounded respectively even more somber and celebratory than usual. 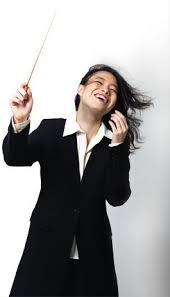 The first half of the program concluded with the HSO premiere of Japanese composer Tadao Sawai’s 1985 piece “Flying Like a Bird” for koto and orchestra, featuring, in her HSO debut, Japanese koto player Mayaso Ishigure. The koto is a stringed instrument that sounds like a zither and looks like a dulcimer. Its exotic sound and Ishigure’s virtuosity rendered the sound of flight as vividly as any instrument could. The enthusiastic audience called her back for a lovely solo encore that depicted another bird with traditional Japanese harmonies. An exuberant account of a 40-minute suite from Gershwin’s opera “Porgy and Bess” closed the concert after intermission. The orchestra was joined in many selections by soprano Janice Chandler-Eteme, bass-baritone Kevin Deas, the Hartford Chorale, and/or the First Cathedral Praises of Zion Choir. All the musicians were in top form, with Chandler-Eteme radiant in “Summertime” and poignant in “My Man’s Gone Now,” while Deas displayed deep feeling in “Bess, You Is My Woman Now” and great comic timing in “It Ain’t Necessarily So.” It was fun to watch the enlarged choir follow his movement cues when he swayed, bowed, or even jumped on several occasions. The HSO’s new season is off to a promising and exciting start. Some reviewers take notes during a production. Some reviewers use special pens that double as flashlights -- useful for writing in the dark and very annoying to fellow audience members. Some reviewers take no notes. This reviewer tends to fall into the first category. Those productions that make the short list are exceptional because the last thing for a reviewer to think about is to interrupt the concentration, understanding, and personal connection by clicking a pen and trying to find the next clean page of a notebook. “Annapurna” is the latest entry in the third (and best) group. Two characters, ex-marrieds, hold this one-act play together as its audience hopes for a second act, third, or the rest of the characters’ lives. While no blood is shed, sweat and tears fill the stage from start to finish, and at the same time softened by humor. 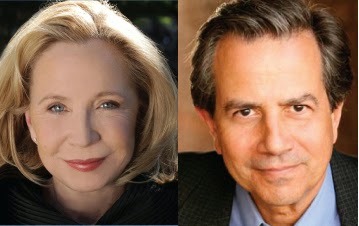 Debra Jo Rupp portrays the ex-wife who walks into her former husband’s trailer unannounced 20 years after she walked out, and Vasili Bogazianos dons the apron of a poor slob -- at first. Crisp, short, funny scenes with blackouts between each open the story. Mixing Rupp’s dead-pan responses to Bogazianos’ broad and often salacious remarks kick off what will soon become a see-saw of jibes, love, hurt, love, secrets, and love. The actors make it obvious that this woman and man have each gone through their own versions of hell, separately and together. Yet, “obvious” is a misnomer. The actors, along with director Rob Ruggiero, have accomplished unbelievably difficult work in creating what is seemingly “obvious.” At the fulcrum of the verbal and sometimes physical see-saw is another character, unseen but ever-present. The exes’ conversations (and silences) about this third player bring him to life. No easy task to fulfill. Another “character,” albeit not living or breathing, is the set design by Evan Adamson. Every bit of “decor,” from the minutia of the location of a filthy burnt pan to the large unmade bed strewn with smelly blankets (well, they looked smelly) is exact. Sometimes one cannot mince words: this is a remarkable show. 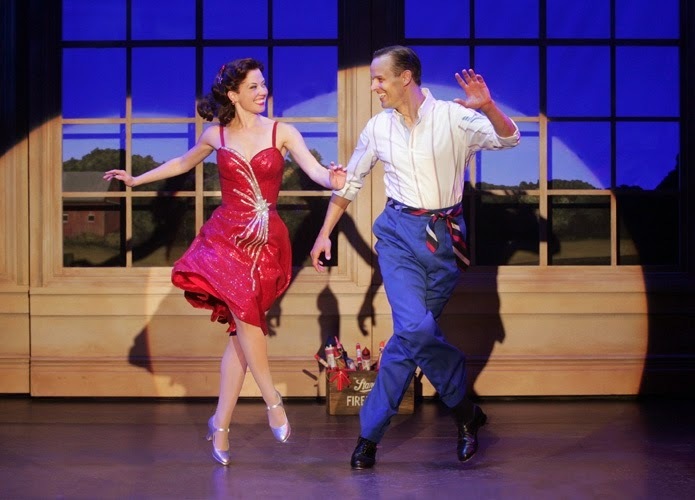 Every aspect of Goodspeed’s original adaptation of the 1942 Crosby/Astaire movie musical glitters and shines with sincere attention to detail and love of the material. Rebuffed by his fiancée and left by his partner, song and dance man Jim Hardy moves to a country house in Connecticut to start a new life. To make ends meet, he calls on his show biz friends to perform at the inn on holidays. Singing, dancing and romantic complications ensue. The solid book improves the plot of the movie, retooling some characters, scenes, and motivations to make a whimsical but grounded storyline. To start, the tunes are so familiar that it is hard to believe this was never on stage before. Irving Berlin’s “Blue Skies”, “White Christmas” and Easter Parade” are just a few of the 25 standards easily integrated into the action. The choreography by Denis Jones is spectacular, sometimes echoing the source and inventively interpreting the styles. Tap dance extravaganza “Shaking the Blues Away” had the audience on its feet and every number took advantage of the ensemble’s top-notch skill. Alejo Vietti’s costumes elicited “ooh’s and ahh’s,” providing authentic, colorful icing on this giddy song and dance confection. Male leads Kelly Sessions (Jim) and Noah Racey (Ted) hint at the movie’s stars personalities, but create fine interpretations of their own. Sessions has to be sympathetic without being a patsy and Racey must be likable but self-centered. Patti Murin portrays love interest Linda’s arc from guarded teacher to energized star in authentic fashion. Susan Mosher’s “Handyman” Louise is a showstopper with just a few well-timed one-liners and facial expressions. 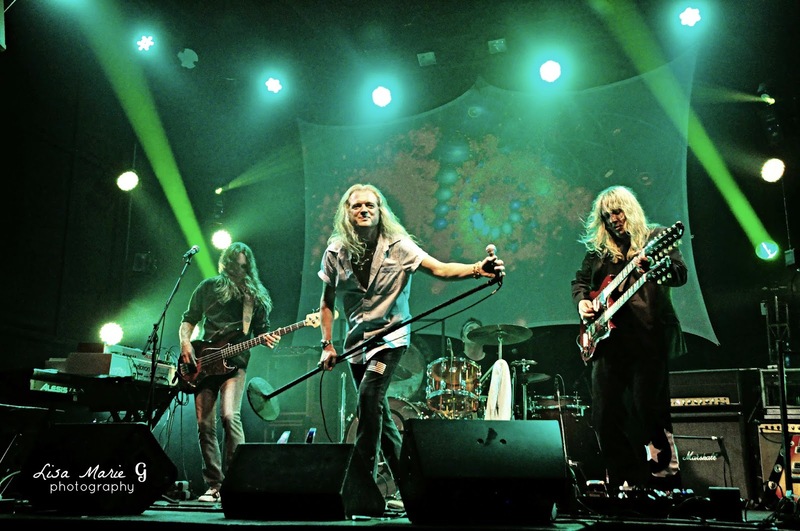 An undertaking of such magnitude as the sophisticated rock and pop of "Sgt. Pepper" in combination with the Springfield Symphony Orchestra was completely adaptable on a grand scale. Peter Brennan's "Jeans 'n Classics" groups' concept of this combination proved admirable in Springfield. Along with the group, vocalist Jean Meiller sang superb arrangements with a fun spirit. Meiller possessed a robust timbre that provided many comfortable memories to an appreciative audience. The band began with "Sgt. Pepper's Lonely Hearts Club Band" with two female backup vocalists in Kathryn Rose and Leah Salomaa. By the time of the orchestral sweep of "She's Leaving Home,” many nice high notes were hit with fine musical accompaniment by keyboardist John Regan. The rhythm section was tight and effective. At times, some electric guitar passages were not audible enough. As a whole, the carnival ambience sound of "Being for the Benefit of Mr. Kite" and the jaunty "Lovely Rita" were fabulous and provided high entertainment. Group founder Peter Brennan supplied a unique psychedelic vocal sound to "Within You, Without You" with familiar tabla sounding drum parts. Paul McCartney's "When I'm 64" had the audience singing along. The orchestral strings built a crescendo of dramatic musical tension on "A Day in the Life" to its astonishing climax and release for the end of the first half. The second portion brought the harmonic joy of the Springfield Symphony Chorus, under direction by Nikki Stoia, performing the John Lennon solo classic "(Just Like) Starting Over." A nicely played acoustic guitar intro by Brennan signaled "Across The Universe." Excellent orchestra string work propelled "Eleanor Rigby" to majesty. The George Harrison song "My Sweet Lord" was out shown by a melodic mimic of slide guitar by Dave Dunlop. "Because" featured the lovely dream-like harmonies of the Symphony Chorus. The scope and unimpaired brilliance of their inventive sound was impressive. The group dazzled with the Beatles, classic rock of "The Long and Winding Road" and "Let It Be" for an exhilarated finale. Vocalist Meiller shared an intimate encore with a warm rendition of Ringo's "Goodnight." The Bushnell brings in another “must see” musical, “Joseph and the Amazing Technicolor Dreamcoat”. The technical aspects of the production captivate from start to finish. The plot is based on the "coat of many colors" story of the trials and triumphs of Joseph from the Bible's Book of Genesis. The show’s family friendly storyline of hope overflows with universal themes, toe-tapping, finger-snapping music, and spectacular staging. Thanks to Musical Director Wayne Green and the cast’s crisp enunciation, not a beat of the script is missed in this fully sung musical. Perfect choreography and direction allow this talented ensemble to showcase a bit of tap/clogging, athletics and lifts, stepping and plate slapping percussion leaving the audience quick to respond with applause. The Narrator, played by Diane DeGarmo, is no stranger to the stage; she has amazing stage presence, vocal perfection, and commanding characterizations. She hits the high notes with tremendous power. In the lead role, Ace Young is handsome with abs of death and gorgeous teeth, thank goodness, because his nasal vocal quality is a bit distracting to this otherwise stunning cast. What should have been a bone chilling moment for Young, his rendition of “Close Every Door” unfortunately lacked sincere depth. Young hits some powerful notes, however without connecting to his “character” the role lacks guts and luster. The ensemble of brothers is the true star of the show. “One More Angel in Heaven” sung by Brian Guleb (Rueben) was the show’s first fun moment. “Those Canaan Days” sung by Paul Castree (Simeon) was a true showstopper. No, seriously, it stopped the show and the applause just wouldn’t end. Ryan Williams truly rocked the audience as Pharaoh when he sang about his dream in “Elvis” style. Let’s get technical: Bravo to lighting designer Howell Binkley who uses every spectrum of color and direction possible. 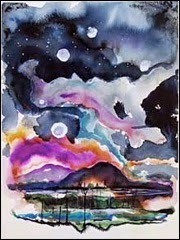 Binkley’s incredible concert/Broadway style design is captivating as it highlights the songs exquisitely. “Joseph” is musical comedy at its best, supported by a great score, a story of hope, a humorous ensemble, and a brilliant narrator that skillfully takes the audience through this journey. It's been a long time since we've Rocked n' Rolled. . .let's get it back! On Saturday, Oct. 18, the Hippodrome, aka Paramount Theater (cinematreasures.org/theaters/1261), in Springfield, MA will rock the region with a triple bill of Classic Rock. Over the past 15 years, the theater underwent a 1.3 million dollar makeover and has been reinvigorated over the past 5 years with live rock shows. That beat begins, led by the radiant torch of Indie-Rock sounds from songstress Shanta Paloma. Possessing a pure rock voice and a gift for guitar magic, she will perform originals, new music, and select covers. “Crazy On You” will feature music from 70's female stalwarts “Heart,” with Cassandra Demers on lead vocals and Meredith Robinson on vocals and guitar. Lead guitarist Kevin Prefontaine will kick “Heart” classics into high gear for a passionate tribute. “Back in Black,” led since 1990 by solid rocker Miguel Goncalves, is an “AC/DC” tribute band, providing a full throttle “AC/DC” experience. With Halloween around the corner, expect surprise musical happenings. The revelry begins at 7:30 at the Hippodrome, 1700 Main St., Springfield, MA. The cost is $25 for advance tickets and $30 at the door. You can get tickets at the Stonewall Tavern next door at 1716 Main St. or enclose a self-addressed envelope with check or money order sent to American Zeppelin, P.O. Box 1032, Granby, MA 01033. “Angels in America” was written some 20 years ago, approximately ten years after the outbreak of the AIDS epidemic, and, yes, it is about AIDS, and oh so much more. The play is about caring, compassion, and love. It is about human needs -- physical as well as emotional. It is about concern for one another and mutual support. It is about attempting to live up to expectations, facing and accepting who we are and what we are, and finally, about survival. The Playhouse On Park production is directed by Sean Harris with great sensitivity and flawlessly cast with an exceptionally talented ensemble, every one of whom delivers an award-deserving performance. In most cases, cast members perform multiple roles, always with distinctly drawn characterizations. It is impossible to identify any single player for special praise, as this is a true ensemble production with every participant contributing brilliantly. These are not simply actors playing a part; they truly become the character they are portraying. Notable contributions are made by all, starting with Jim Shankman as Roy Cohn, Time Hackney as Joe Pitt, Kristen Harlow as Joe’s wife Harper, James Parenti as Prior Walter, Marty Scanlon as his partner Louis, Clark Beasley Jr. as Mr. Lies and Belize, and Olivia as four different characters as well as an off-stage voice. Bravos to all! The venue is an intimate, comfortable theatre with the audience seated on three sides facing a large performance space. The producers are to be commended for their courage in bringing a very difficult production to local audiences. This is a rare opportunity to see one of the most challenging works of the past two decades in a magnificent production. The cast and presentation deserve full houses at every performance. Attendees will be richly rewarded. The set is numerous shades of brown with a smattering of black. The rustic interior of a tavern sits in the center of ceiling-to-floor paper panels, each with faded handwriting. This is not a friendly place which audience members step into, not only in the shroud of dark scenery but in the company of its inhabitants. Add macabre music and thunder claps and “Poe” is off to a powerful start. Director/playwright Eric Hill’s imagination has chronicled the final days in the life of Edgar Allan Poe. Indeed, Poe’s demise is as mysterious as was his life and writings. Hill has seamlessly meshed history with fiction and poetry with dialogue for his main character. Poe’s language is full of near-operatic arias, most taken from his own writing, held together by meaningful recitative. While “Poe” is not a one-man play, it very well could be for several reasons, most importantly beginning with actor David Adkins’ portrayal of the tortured poet. Adkins, who has acted quite nicely, primarily in contemporary plays over the years at Berkshire Theatre, entrenches his mannerisms and psyche into the body and soul of the wreck of a man Poe has become. It is hard to imagine another actor donning the mantle of agony, hopelessness, and mystery balanced with beauty, love, and brilliance. Assuredly, bringing Poe to life and ultimately to death is far from an easy task. At times, Adkins superbly plays the friendly drunk. Yet, humor often shades hard truth, and in Poe’s case, the truth is too harsh to live with. Adkins personifies his Poe with feigned levity awash with harsh reality, so that “Poe’s” audience is decidedly uncomfortable to laugh or even smile. Hill achieves that dichotomy. Yes, other actors appear onstage, but their actions and words do little to flesh out Poe’s character and/or link theirs with his in important ways. The play’s start serves as repartee solely as a prelude to Poe’s entrance. While Kate Maguire’s character’s recitation of “The Tale Heart” is effectively chilling, it might have served better as a preamble to the play or after-show reading. 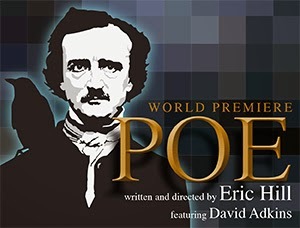 “Poe” has a short run at Berkshire Theatre, so make a date with this master poet soon. October 2014 marks 20 years of bringing arts from all across America to Northampton, often considered the creative hub of New England. Columbus Day Weekend, which happens to fall during American Craft Week, is chock full with the works of 275 exhibitors, dining tent, music, art demonstrations, and silent auction. Arts is drawn, painted, weaved, sculpted, sawed, strung, and/or welded together to create the best in paper, jewelry, glass, metal, and woven art. talented individuals reside in Massachusetts as well as throughout New England. Spend Paradise City's 20th Birthday in Northampton. To kick-off their impressive 2014-2015 season, Berkshire Bach Society welcomed Fall with a fine group of musicians who are the artistic core of Orchestra of St. Luke’s in New York City. In a concert called “Bridging the Baroque," the program began with Mozart and ended with Vivaldi. 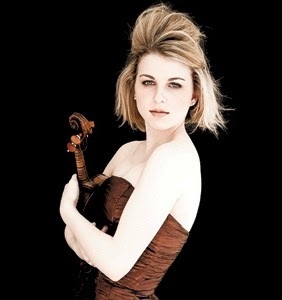 Featuring violinist Krista Feeney, Vivaldi’s "The Four Seasons" was fiery, fierce, and passionate without being frenetic. Feeney had total command of her instrument, which freed her to play with sincerity and respect for the many changes in tempo and virtuosity that the music required. Ms. Mann had a wonderful flute technique for the Bach Orchestral Suite as well. She chose dance-like tempi that seemed entirely appropriate, and it was a relief not to hear this music rushed. Both soloists' ability to apply vibrato with conservative restraint was wonderful to the ears. The ensemble behind these two players shone just as brightly as the soloists did, anchored by an amazing bass section that gave distinction to that pivotal department. John Feeney, on bass, was as virtuosic as it is possible to be on that slow-responding instrument, never allowing the sound to be anything but clear and supportive, both to the soloists and to his cello and keyboard companions. Accustomed to hearing these pieces played by a much larger ensemble, the music gained in St. Luke’s presentation by letting the middle lines through, and listeners could hear both the support and complexity of Louise Schulman’s viola. The concert was a gem in the acoustically rich space that the Mahaiwe has become, and the appreciation for the venue - as well as for Berkshire Bach - was reflected in a nearly sold-out house. 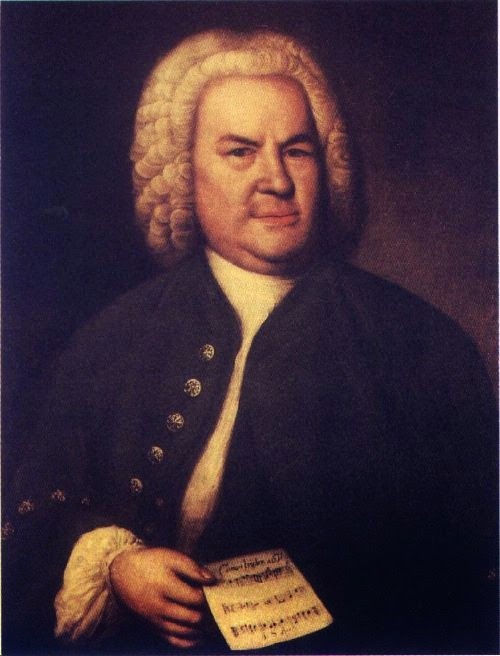 Berkshire Bach Society is dedicated to sharing the vast and wonderful repertoire of music by Johann Sebastian Bach, his contemporaries, the composers who influenced his work and those he inspired to achieve musical timelessness. Berkshire Bach seeks to reach the broadest possible audience for the works of J.S. Bach and his musical peers, mentors and followers. Performances range from solo instrumental recitals to large choral works with full orchestra.